My daughter loves cheese sticks. She thought it was such a fun baking trick to cut the mozzarella into one inch pieces and stick them in the muffin batter. I made this soup for us on a snow day, because nothing is more warming than a bowl of soup. The kids were playing outside and having so much fun. Aidalyn’s little cheeks were red, so I put some coconut oil on them to help prevent any chapping (she wasn’t happy about that part). Thankfully, she was excited that we were going to get in the kitchen and make something fun. These are a great recipe to make with the kids, because it is really hard to mess up. 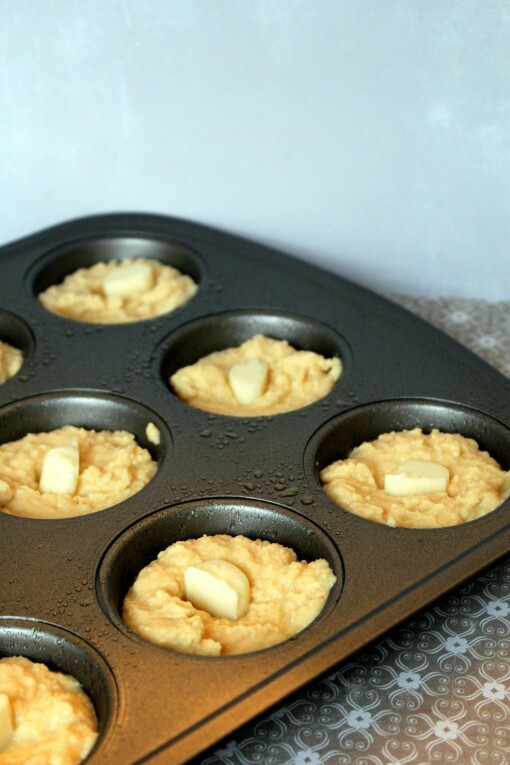 Just mix everything well into the bowl and then spoon into your muffin tin. The best part is adding the cheese. What kid could resist helping? We baked the muffins for 25 minutes. They were a little golden on the top. Look how gooey the cheese is! Oh, it was so perfect. 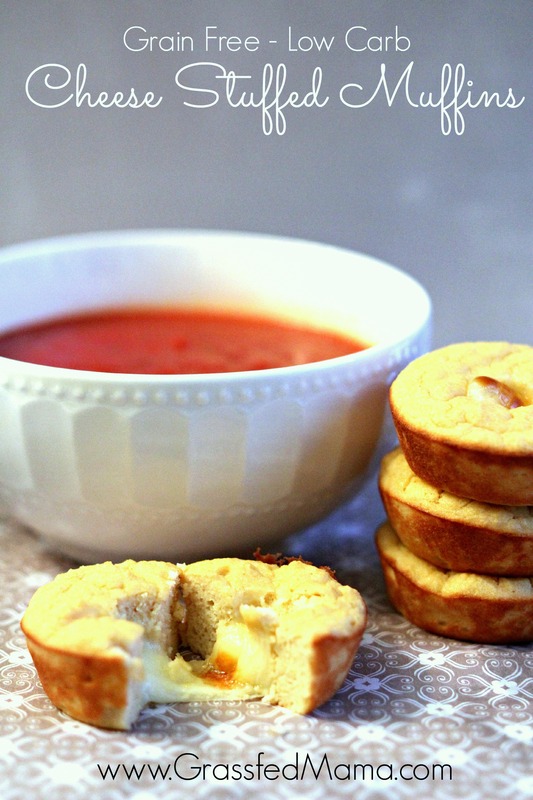 Enjoy these cheese stuffed "cornbread" muffins with your favorite soup to warm you up on a winter day. Mix everything together well in a large bowl. Fill muffin cups about ⅔rd of the way full. Place mozzarella piece into the batter and press down. These sound so delicious!!! 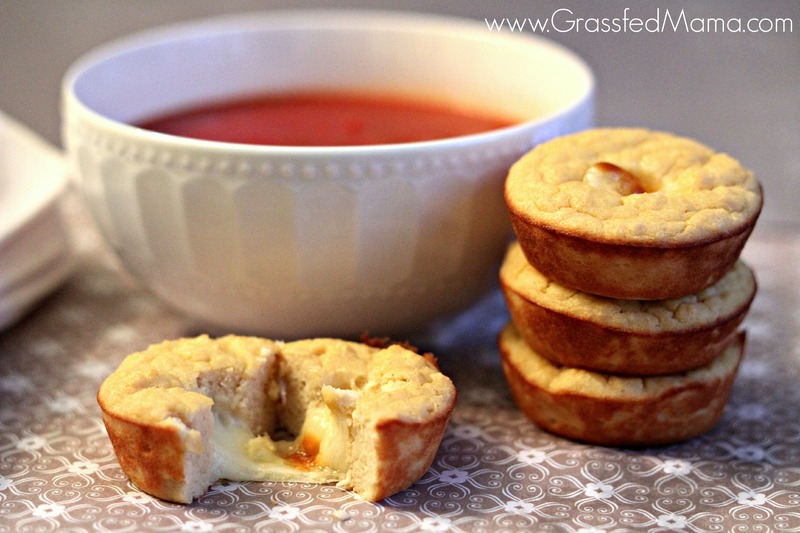 Grilled cheese and tomato soup go hand in hand, so this would be a great alternative! I just have to eat something with my soup… It isn’t a meal without it, haha. Oh I know!! I love gooey cheese… yum. Looks delicious. Have to try this for my husband – he loves cheese and muffins. Thanks for sharing on Real Food Friday. My daughter thought they were fun to make too! I love anything that gets her excited in the kitchen. Thank you Nicky! 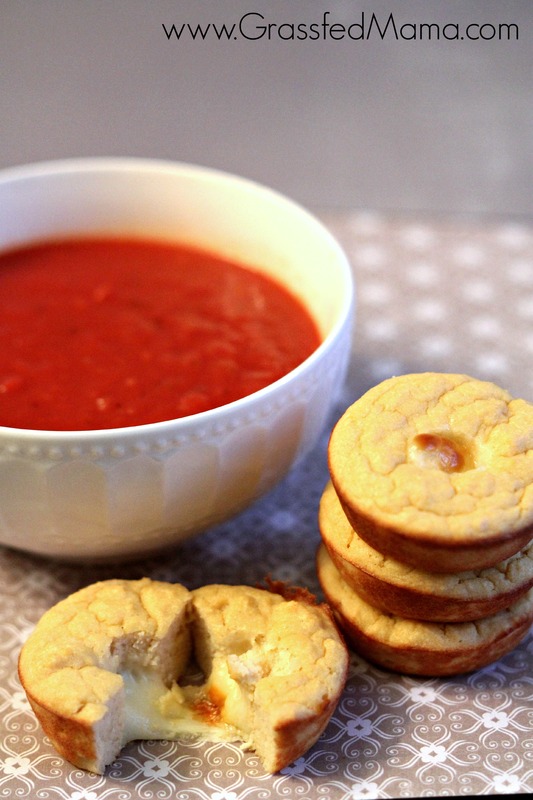 I love your link up, so glad you are hosting : ) I have a grain free cheese stick recipe I need to try. It sounds very similar to what are you describing but using almond flour. Do you bake yours or fry them? I bake them for 5-6 minutes at 350 degrees. Hi Angela! I’m stopping in from Let’s Get Real today. This is such a clever idea. My kids would love to help make these and probably like eating them even more. Such a great idea! You are right…….these would be perfect with grilled cheese. Thanks for stopping by! My daughter loved making them. Any way to encourage her to get in the kitchen makes me happy too.